Every so often, the blogger set gets behind an item and makes it become a cult best seller. You might assume that this year it's all about the Gucci logo T-shirt, which thanks to the likes of Pandora Sykes, Tanya Burr and Lucy Williams gets as many as 2000 searches a day. But the Gucci tee has competition from another piece that's been regularly featured on the Instagrams of super-bloggers everywhere: a £99 rug from La Redoute. Yes, you read that correctly—people are going wild on Instagram over a rug. 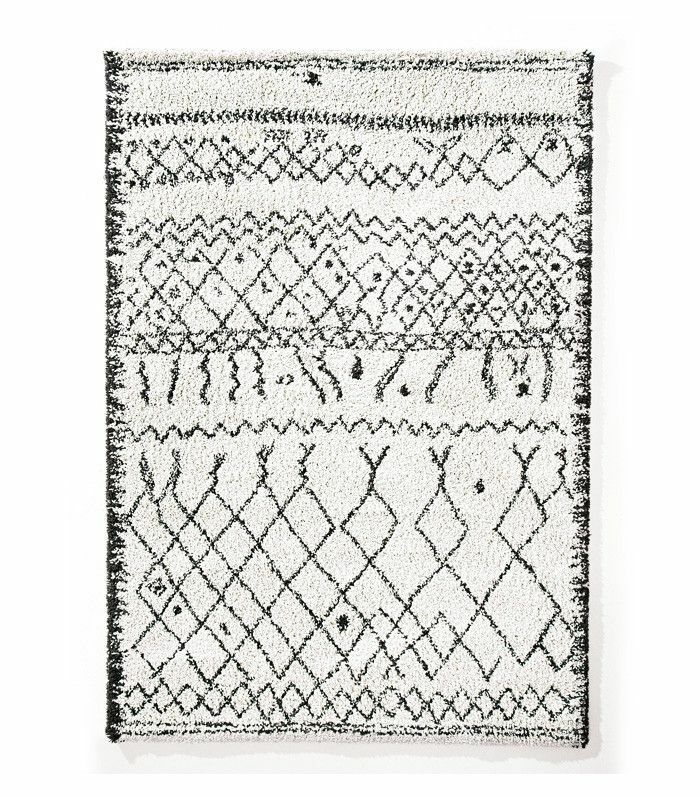 So much so that this must-have accessory now has its own Instagram page, @the_la_redoute_rug. Well the secret is out the rug makes for perfect #fwis backgrounds - just look at @iamalisonperry 's! This Scandi-style cream-and-black shaggy rug is the perfect backdrop for a shoefie, flat lay or mirror selfie, and so has become a must-have fashion purchase. Fashion blogger Erica Davies, who is credited with starting this rug trend, wrote on Instagram about the famous rug: "A LOT of people have bought it. The brand told me that since I first featured it on here last March, it has had to be restocked SIX times!" I'm not sure whether you've seen, but this rug has become so famous it now -hilariously - has its own Instagram account! ???? It was set up this week by the French brand - and @the_la_redoute_rug is featuring Instagram photos of it styled up in customer's homes. Because a LOT of people have bought it. The brand told me that since I first featured it on here last March, it has had to be restocked SIX times! That fact has blown my tiny mind! ???? Apparently La Redoute call it 'The Erica rug,' which, in pride terms has to be up there with the births of my children! Perhaps my epitaph will read, 'she sure could pick a bargain rug!'✌???????? The La Redoute team only set up the Instagram account a week ago, with the tagline "This rug is so famous it's got it's own Instagram." La Redoute tells Who What Wear it was the best-selling homeware item of all last season and is still its top-seller this year. Each day, the account features pictures of the rug in bloggers' houses, proving that when it comes to super-affordable homewear, this has got to be one of the most fashionable pieces around. Bloggers aren't taking their outfit-of-the-day posts in the street any more—it's all about their stylish interiors. Shop fashion bloggers' must-have interior pieces here.